A 14-year-old orphan abandoned by her family has tested HIV positive. The girl, named Favour, was rescued after she was spotted wandering on the streets of Owerri, Imo state after being rendered homeless. While homeless and sleeping on the streets, she was raped multiple times. According to reports, the teenage girl was turned to a beggar after she was thrown out to the street and abandoned by her aunt who accused her of witchcraft. 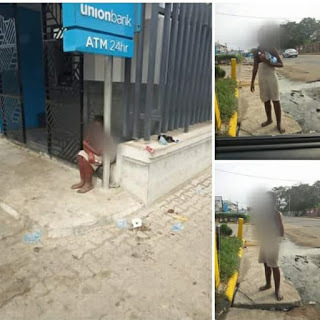 The homeless girl was seen in a devastating state along Port-Harcourt Road, after Control, Union Bank before she was picked up by Prince Gwamnishu Harrison who obtained a Police report to enable him take her to the hospital. According to Prince Gwamnishu Harrison, he took her to a hospital where the test was carried out. She tested positive to HIV after she was raped multiple times.